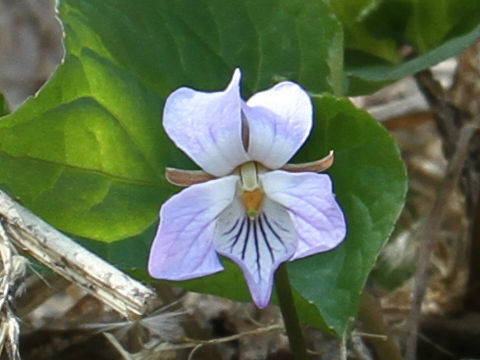 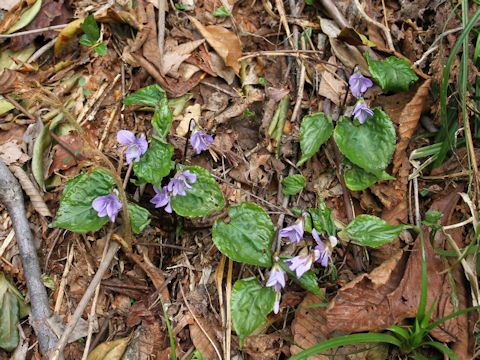 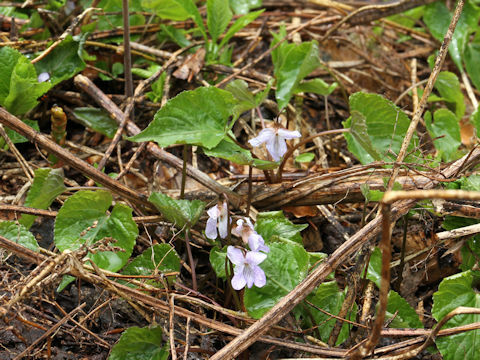 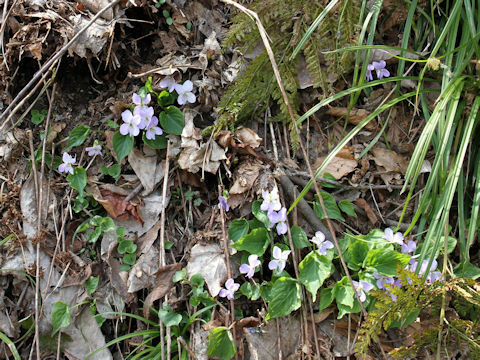 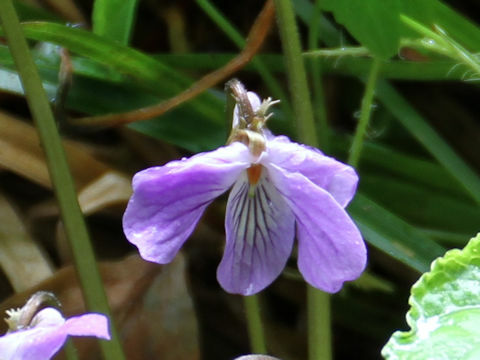 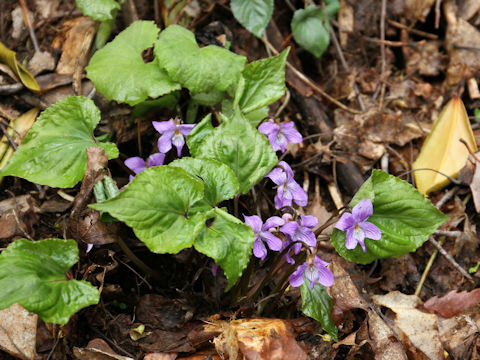 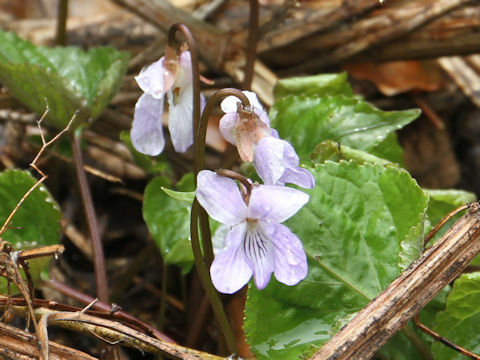 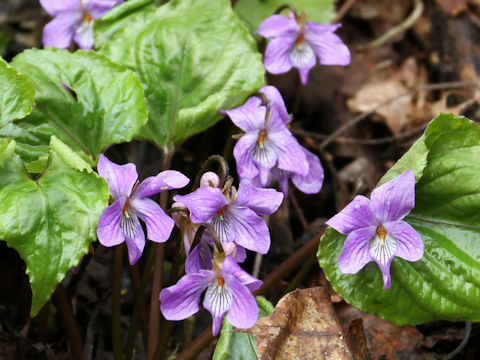 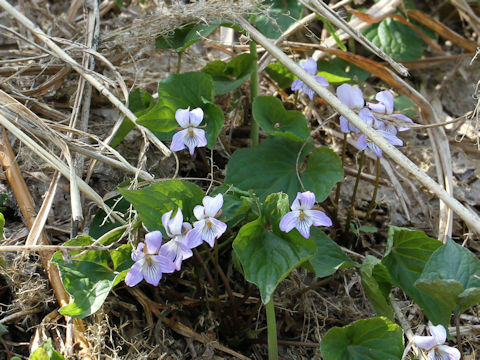 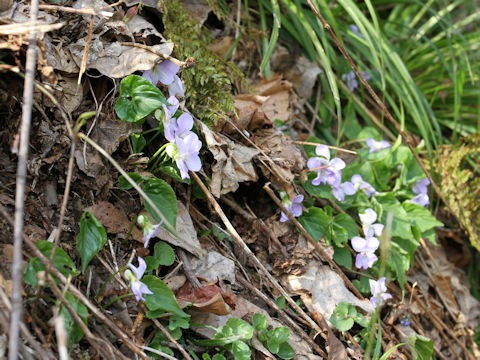 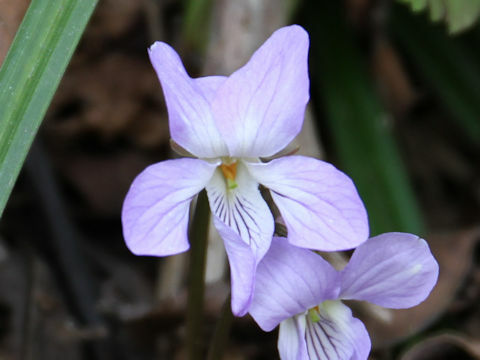 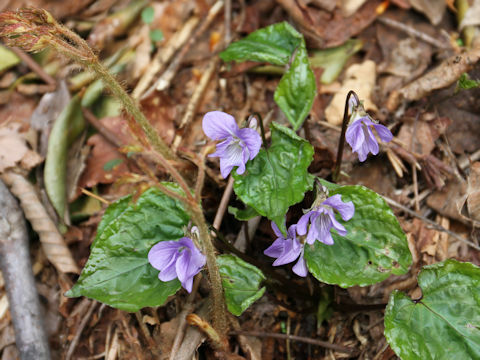 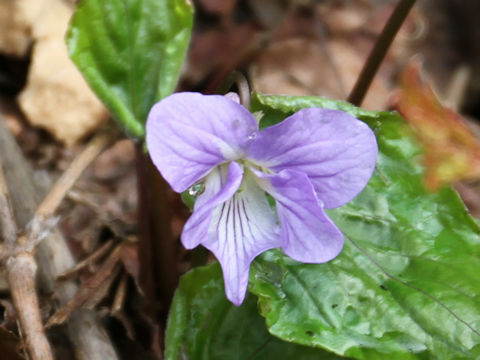 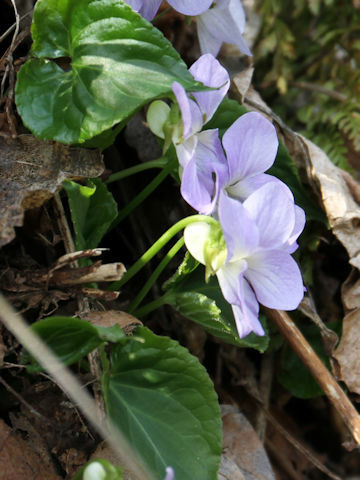 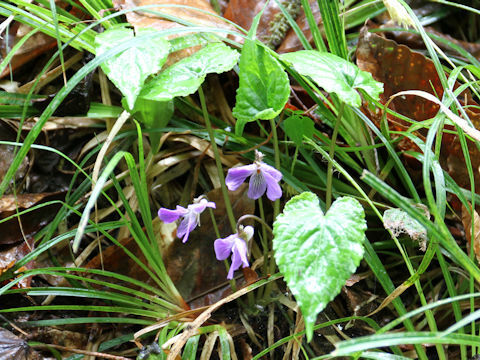 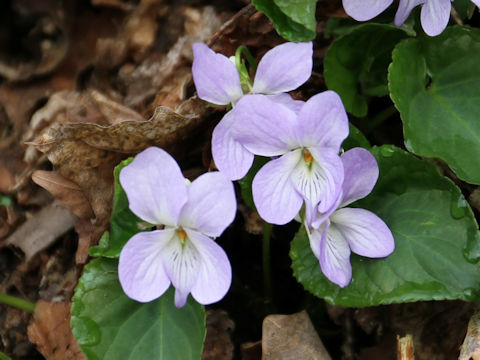 "Sumire-saishin" (Viola vaginata) belongs to the Violaceae (the Violet family). 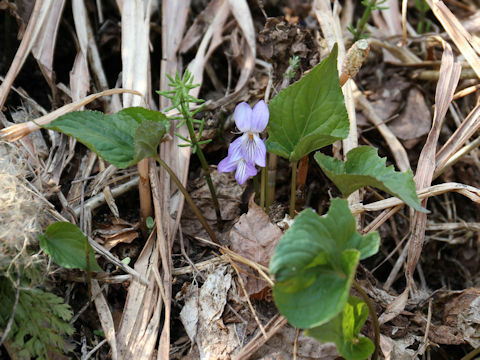 It is a perennial herb that is native from western Hokkaido to the Japan Sea side of Honshu. 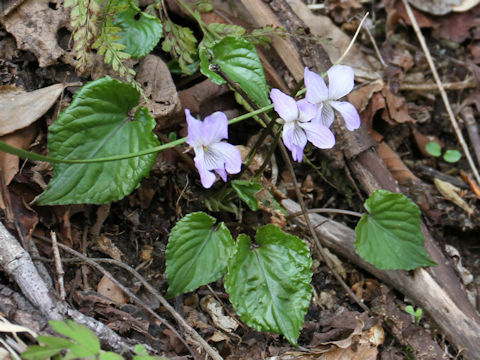 This herb grows in montane deciduous forests and can reach 5-15 cm in height. 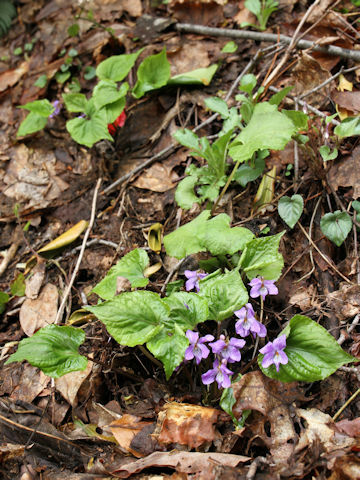 The leaves are cordate to lanceolate with acute tips. 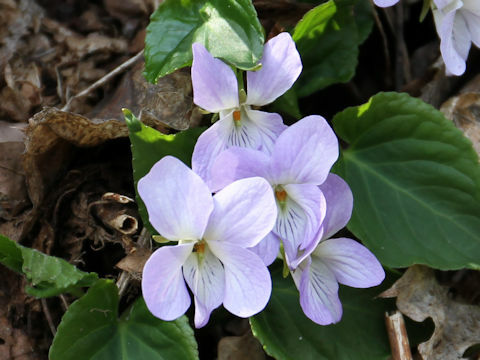 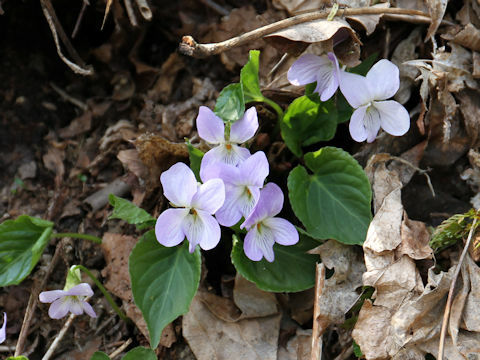 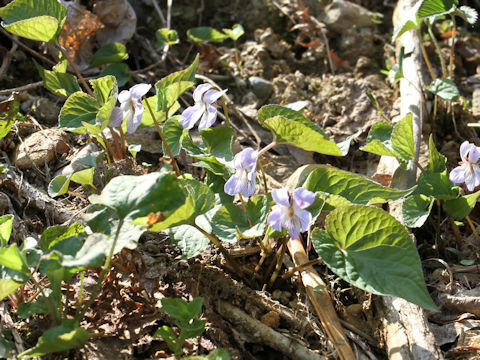 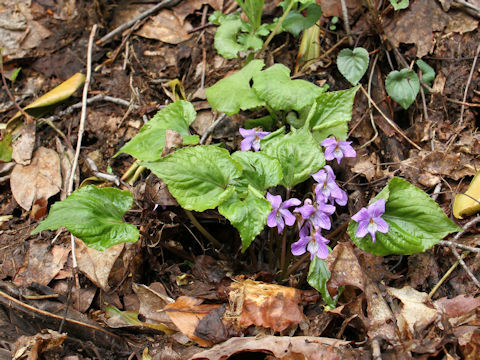 The pale purple flowers bloom in April and May. 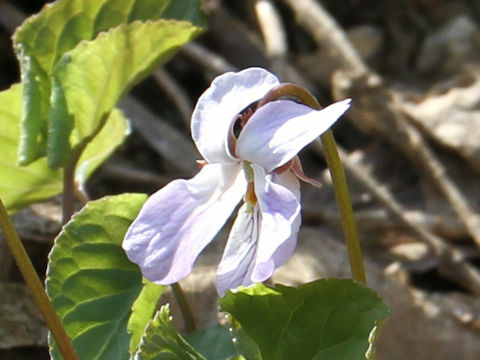 The lateral petals are not bearded and the pistils have beak shaped tips.